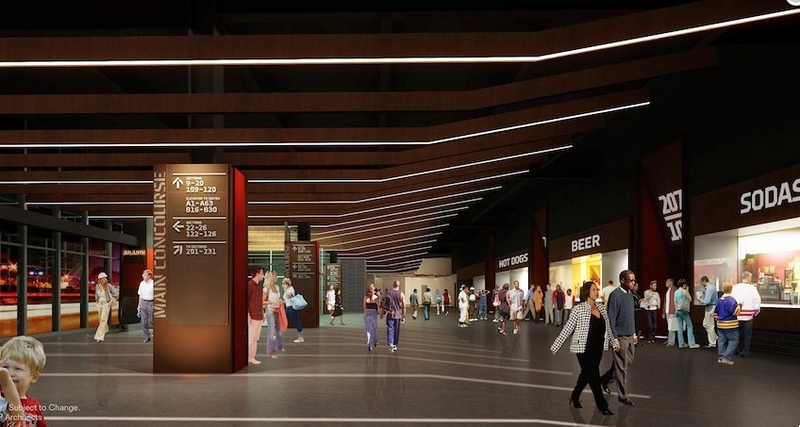 Ellerbe Becket, an AECOM company, was selected, in association with SHoP Architects, to design the Barclays Center – the new home of the National Basketball Association's (NBA) Nets. When complete in 2012, this promises to be the most exciting venue in the NBA. Sited in the heart of Brooklyn, the design features a unique weathered steel facade, and a main entrance covered by an impressive canopy with an oculus that contains a dynamic marquee. 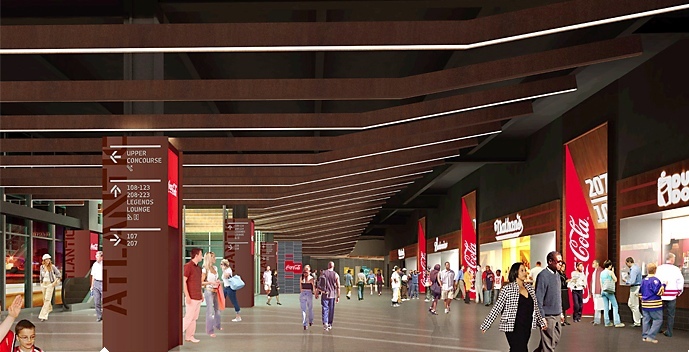 The glazed main concourse is at street level, making the arena more pedestrian-friendly and creating a strong visual connection with the neighborhood. The Barclays Center will feature one of the most intimate seating configurations ever designed into a modern multi-purpose arena, with unparalleled sightlines and first-class amenities. An abundance of premium seating will accommodate virtually any spectator need. Seven clubs and restaurants provide further revenue-generating amenities that today’s patrons both appreciate and have increasingly come to expect. For two decades Brooklyn politicos have been dreaming of an amateur athletics arena — a “sportsplex” — for the borough. That dream was shelved when the city instead moved ahead with Keyspan Park in Coney Island. ...Markowitz is doubly excited because he anticipates that the facility could be used as a scholastic and amateur sportsplex when the professional team is not playing. “It would be a multi-use arena and thus a sportsplex would definitely be included in it,” Markowitz told The Brooklyn Papers. Well, some high school tournaments might be played at the arena, but the ink is going elsewhere. The arena would be less a "borough facility" than a "facility in the borough."